We will be adding First Legion as one of our suppliers. With its range of Romans, Crusaders, Samurai, Napoleonic, American Revolution, Civil War and Stalingrad figures, they will complement our existing ranges. We look forward to having them on display in our store, for all to see. We have updated our web site to reflect the addition of First Legion. Our first shipment will arrive next week. Hope you enjoy the edition. New Announcement! Releases Expected In November. ATW001A — 60mm Mortar Team (All American) — Featuring our first American Airborne troops from the 82nd Airborne Division (The All Americans), taking their 60mm mortar into action against the enemy! The loader and aimer both look away as another round leaves the chamber, these 2 were in such a rush to get into action the loader is still wearing his drop gloves! 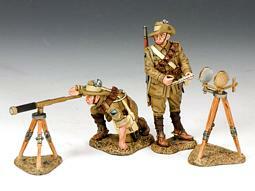 Comes with 2 figures, mortar and mortar ammo box this has to be a first for 1/30th scale! Planned production run is limited to 180 sets in this version. 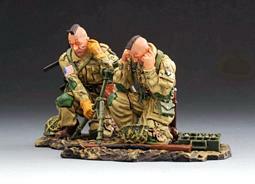 ATW001B — Last of the Mohicans (101st Airborne) — The B version crew are sporting Mohican hair cuts with war paint and wear the unit colours of the 101st Airborne, this version limited to 120 sets and is titled ‘Last of the Mohicans’. Both versions priced at $69 each and probably not around for long so grab them whilst you can. GEB001 — Gebirgsjager Sniper (Winter) — Our first of hopefully many Gebirgsjager troops! This SS mountain trooper takes aim at an unfortunate Allied soldier, sometime during the Battle of the Bulge Campaign in late 1944. Limited to 200 sets in this version and priced at $32. GEB009 — Gebirgsjager Sniper (Spring) — Our latest Gunn Club figure featuring an SS mountain trooper dressed as he would have appeared in spring 1945, limited to 100 sets worldwide. SS021A — SS Infantry Squad (Winter) — Comprising 2 SS soldiers in winter gear, the officer takes aim with his MP40 whilst the other foot slogger hurriedly reloads his rifle. Limited to 200 sets in this version. SS021B — SS Infantry Squad (Spring) — The B version figures come in a popular Spring 1945 colour scheme and is limited to 100 sets worldwide, both versions priced at $64 each. 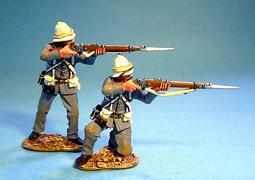 SS027A — German ZB30 MG Team (Winter) — Another first in 1/30th scale so far as I am aware! 2 SS infantry men manning their Czech ZB30 machine gun, the gunner takes careful aim whilst the number 2 waits with a fresh magazine. 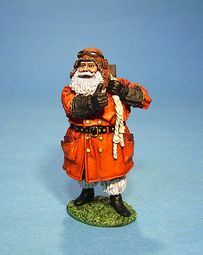 Comes with 2 figures both dressed in typical uniform for the winter period, with one man carrying a bag containing fresh magazines and the other with a canvas bag containing spare MG parts. The ZB30 was made in Czechoslovakia and was popular with SS infantry and SS police units, especially when the MG34 was not readily available. It was still in use at the wars end which was a testament to its reliability and durable construction. Enfield made the British version of this machine gun which went onto worldwide fame as the Bren for those of you wondering about the similarity between the two guns! Limited to 200 sets worldwide in this version. 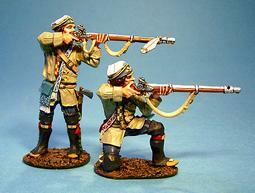 SS027B — German ZB30 MG Team (Spring/Summer) — The B version will suit any diorama for Western Europe from Spring thru to Autumn and is limited to 100 sets worldwide, both versions priced at a competitive $69. New Releases For December 2011! This years’ Christmas set is inspired by the Knights of the Skies series. Unfortunately this release has been delayed until the end of the month. 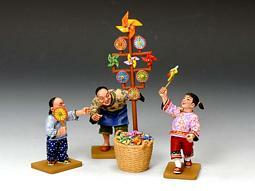 The Chinese Customs people decided they wanted to play. Brigadier Humphrey Gore raised the 10th Dragoons in 1715 as part of the response to the Jacobite rising of 1715, although they did not see any action. In 1723 command of the regiment passed to Colonel Charles Churchill who was in turn succeeded by Field Marshall Viscount Cobham in 1745. Cumberland to deal with the threat. Cumberland had only three regiments of horse, Cobham’s Dragoons, Kerr’s Dragoons and Kingston’s Horse. At the battle of Culloden Cobham’s found itself in the unusual situation of being split between the two flanks of the army. Both parts were engaged with the rebel army and in particular the rebel horse and the small units of French troops sent to aid the rebels. With victory assured it took part in the pursuit of the broken rebel army, its troopers being the first Government troops to reach Inverness, the Jacobite headquarters before the battle. After the battle the regiment played an active role in policing the highlands and the hunt for the fugitive Prince Charles Stuart, particularly along the Aberdeenshire shore around Stonehaven. Fokker Dr.I 213/17 was flown by Ltn. Friedrich “Fritz” Paul Kempf. Ltn. 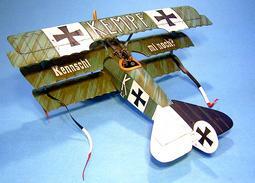 Kempf flew this machine and another one similarly marked “Kempf. Kennscht mi noch?”, translating to “Kempf. Remember Me?”. Dr.I 213/17 also carried Kette (flight) leader’s streamers on the lower interplane struts. Friedrich Kempf survived both world wars, and died in 1966. Since starting the Knights of the Skies series a year ago, I have had many requests to produce some generic pilots to fit into the planes. These first two pilots are designed to fit into the Fokker DR1 Triplanes. Please note these figures will not fit into the Sopwith Camel. Suitable figures will be released in a few months. The marines were in Gen. Graham’s square at El Teb. At Tamai in 1884 they formed the rear wall of Maj. Davis’s 2nd Brigade square. When the wild Hadenodoa warriors flooded into the square through the gap left by the Black Watch. The rear rank of the marines were compelled to turnabout and fight in both directions. At this time the Marines acted as a breakwater to steady elements of the York and Lancaster Regiment, and the Black Watch as they recovered to retrieve the situation. The Marines were to take part in most of the major actions throughout the Sudan Campaigns. “Long Live the King!” French royalty and nobility played an important role in all of the Crusades… fighting alongside and sometimes leading the armies of Christendom in their mighty struggle to regain the Holy Land. Here are the first three French crusaders. MK084 — King Philip II of France — Philip went on the “Third Crusade” (1189-1192) with Richard the Lionheart of England. His army captured the important citadel of Acre in 1191 before ill-health forced his return to France. This K&C mounted figure shows him greeting his soldiers and wearing the traditional blue surcoat decorated with the royal “fleur de lys”. MK085 — The King’s Banner Knight — Carrying the King’s personal standard this mounted Knight follows closely behind his “liege-lord”. MK088 — Royal Man-at-Arms with Banner — Another of King Philip’s retainers… this one from the King’s own household troops and carrying a smaller version of the Royal Banner. December sees the release of K&C’s latest warbird… the Messerschmitt Bf.109 “Emil”… together with a pair of refueling carts and two well-known German air aces. LW034 — Airfield Refueling Carts — These two hand-drawn carts were a familiar sight on Luftwaffe airfields through the Second World War… From Benghazi to Stalingrad… and all points in between! LW044 — Werner Molder’s Messerschmitt Bf109 “Emil” — This “E” model 109 is in the personal markings of Oberst Werner Molders, one of Germany’s most famous and highly decorated fighter aces. Molders, who had previously flown in the Spanish Civil War would go on to have 115 “kills” to his credit before himself being killed in an air crash in 1941. The aircraft we have portrayed is one Molders flew when he took command of JG51 in July 1940. At that time he was the Luftwaffe’s youngest “Kommodore”. His best friend was another top German ace… Adolf Galland.Just 500 of this particular aircraft are being produced. LW046 — Oberst Leutnant Gunther Lntzow — Another of Germany’s leading fighter pilots. LW047 — Kommodore Helmet Wick — Wick achieved 56 victories before and during the Battle of Britain…Promoted to “Kommodore” and given command of JG2 he was shot down and drowned in the English Channel in November 1940.
single or in multiples they can help transform any tented area in a display or diorama… see for yourself. AL027 — Australian Staff Officer — Major Jack Haldane, a staff officer belonging to Gen. Chauvel’s Light Horse H.Q. observe the Turkish defenses at Beersheba. AL028 — General Sir Edmund Allenby — Commander-in-Chief of all British and Empire Forces in the Middle East. Allenby was a first-class soldier and leader and popular with the Australians who were normally “dismissive” of British “top brass”. 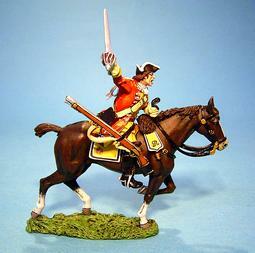 Here, he is mounted on his favorite charger “Ajax” and wearing the typical British pith helmet. Allenby was also much admired by T.E. Lawrence (Lawrence of Arabia). AL029 — Mtd. Sir Harry Chauvel — Chauvel was the first Australian to become a Lieutenant General and command an entire Army Corps. At Beersheba his Light Horse captured the town and confirmed his military reputation for boldness and daring. Quiet and reserved he continued to serve Australia until his death in 1945. AL030 — Heliograph Set — In a war where the wireless and telephone were still in their infancy the ancient method of signaling by reflected sunlight was still valued. Here two Light Horse signalers are at work… reading the signals coming in and preparing to reply. HK191 — The Chinese Gateway — A superb rendition of a traditional three-entrance gateway seen all over China with several examples in Hong Kong. Beautifully crafted and painted. HK194G — Paper Windmill Stall (Gloss) — Another common sight in what was old Hong Kong… Particularly at Chinese Folk Festivals such as the Autumn Moon Festival and Summer Solstice. HK194M — Paper Windmill Stall (Matt) — Another common sight in what was old Hong Kong… Particularly at Chinese Folk Festivals such as the Autumn Moon Festival and Summer Solstice. Copyright © 2011 SierraToySoldier.com All rights reserved.